I have had the distinct privilege this year to visit other ski mountains. While I love 49 Degrees North, and being a ski host there, I have truly enjoyed skiing at Silver Mountain and Lookout Pass this season. Last Thursday, I went to Silver Mountain with Kendrick’s school. It was “crazy hat day” at school, so the kids tried to do something fun to their helmets. Kendrick put Lego stickers all over his blue helmet. Kendrick took a ski lesson, and then had to ski all day because he forgot to bring his snowboard. He’s doing quite well, but did spend some time sprawled in the snow! He had an almost good attitude about it! 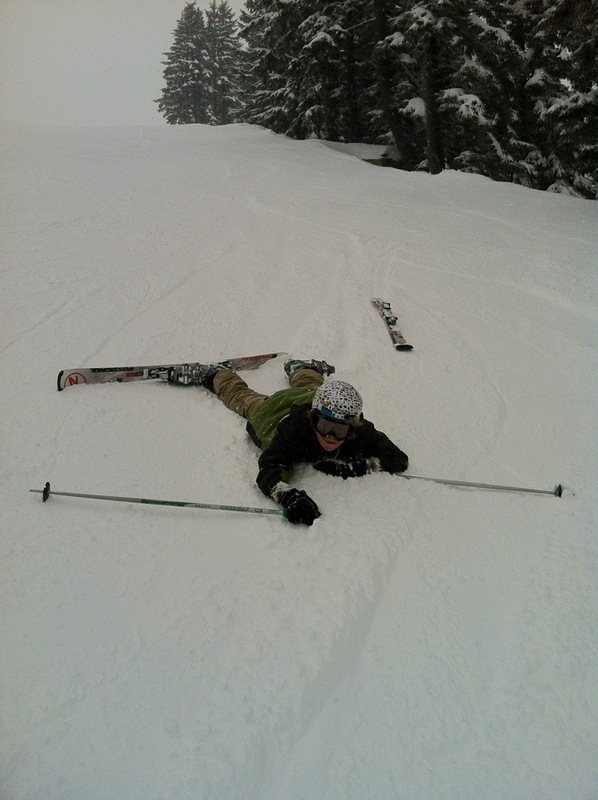 I think he’s doing very well on skis, though I don’t think I will turn him into a serious skier anytime soon! © 2013 GraceWithoutTears. All rights reserved. 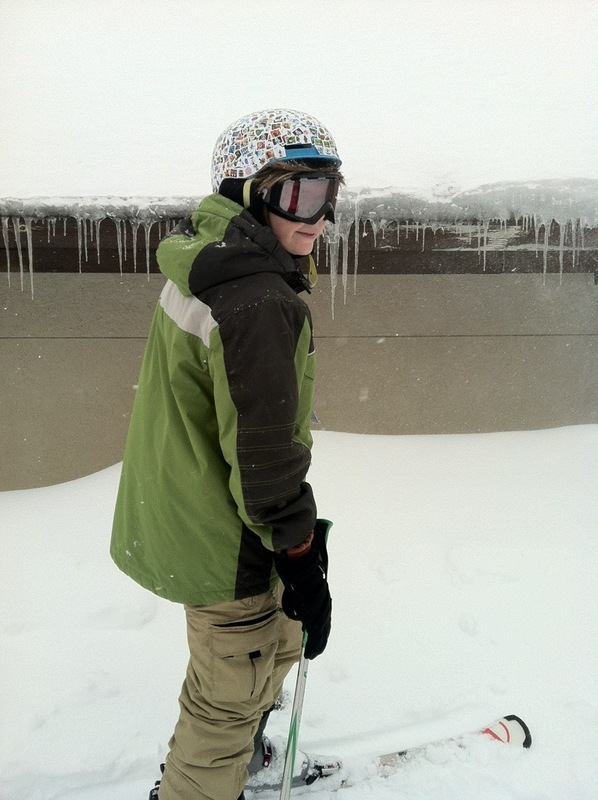 This entry was posted in Computer Boy, Skiing & Snowboarding on February 24, 2013 by gracewithouttears. There never ceases to be excitement around this home. Unfortunately, it seems to be of the negative nature a lot of the time. 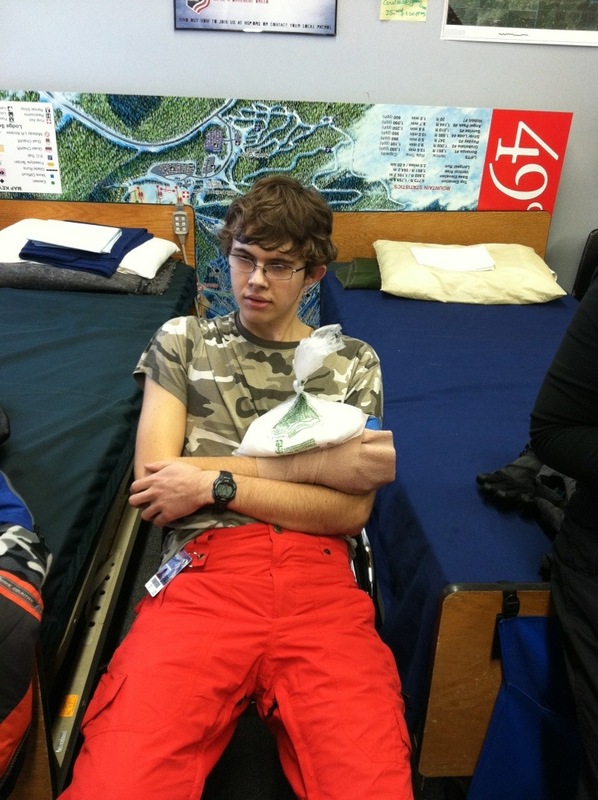 A couple of weeks ago, up at 49 Degrees North Ski Resort, Darien broke his arm. As a Ski Host up there, I am often busy doing my own thing and my kids ski all over the entire mountain without me. After going regularly for 4 seasons now, I am not worried about them getting lost, and I’m generally not worried about them getting hurt. All 3 children are proficient snowboarders and can keep up with all of their friends when they’re on the mountain. On this particular day, I was helping two girls down the mountain the easy way, just before closing. When I got them safely to the lodge, I was greeted at the bottom with a wave from the Aid Room. There is nothing worse than seeing your own child waving to you from the First Aid Room. It was Kendrick, who looked to be in one piece, telling me to come, and hurry! 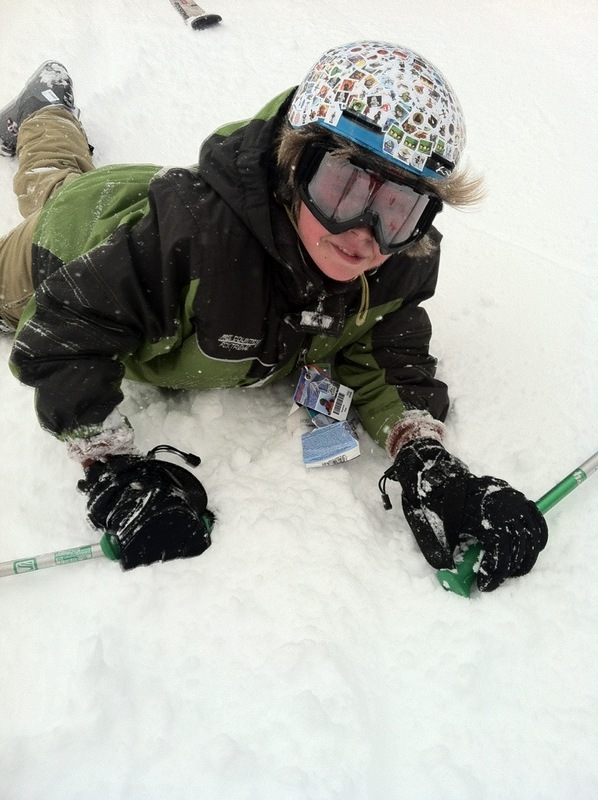 I took off my skis and went inside to find Darien with a first aid ski patroller. 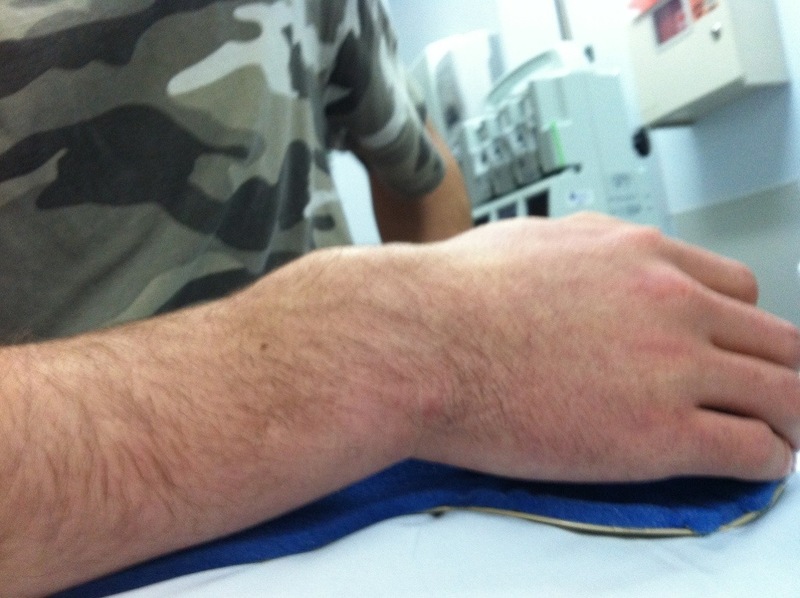 They had his wrist wrapped with ice on it. He looked more disgusted than he did in pain, and I was disgusted as well. 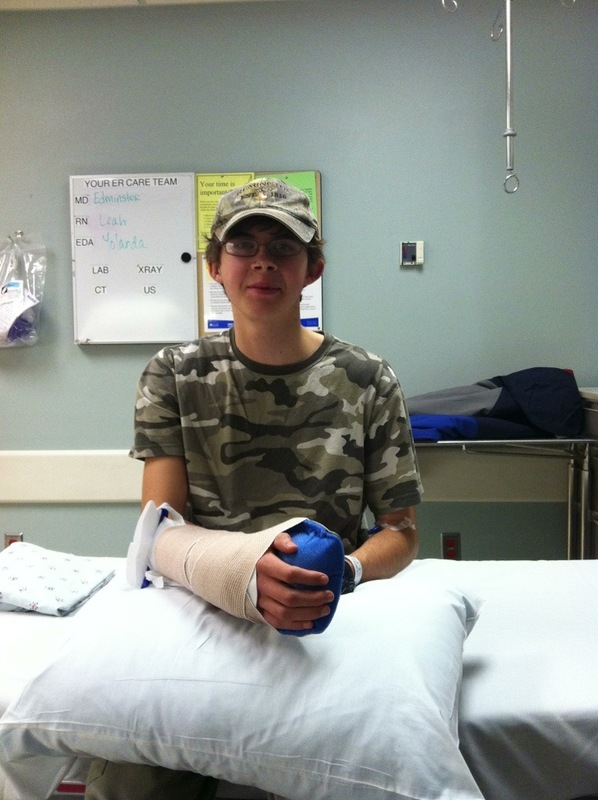 My mind began churning regarding the finances and how we were going to pay for a broken bone, the necessary ER visit, and all the followup afterwards. We had just been through a dislocated shoulder in May with Kaelyn, and all those bills ran us right around $6K. I considered my options and if I could wait to see a regular doctor in the morning, but the Ski Patrol recommended we have him seen right away because the bone had looked rather displaced. We gathered our things and headed to the nearest ER. 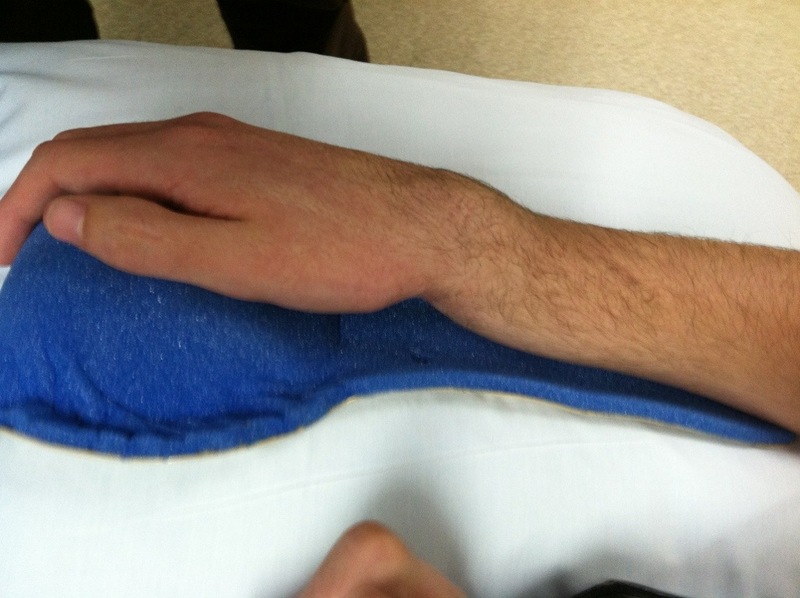 Once the bandage came off, it was clear that the bone was very, very broken. This is not a natural position for a wrist to be in. Thankfully, Darien was not in a tremendous amount of pain. They took an x-ray and ultimately determined that they didn’t have anyone who could properly set the bone, so they sent us down to Sp*kane to see another ER doctor there. Can I just say, at that moment, I was very upset. TWO ER visits in one day??? Seriously?? My hopes that this might not be as expensive as Kaelyn’s shoulder were shattered. And why couldn’t they just refuse me in the first place, if they were going to send me to Sp*kane anyway. The drive went smoothly and we arrived at our second ER. Our doc was young and vibrant and full of energy. He walked in announcing that he had set lots of arms like this, and immediately I liked him. 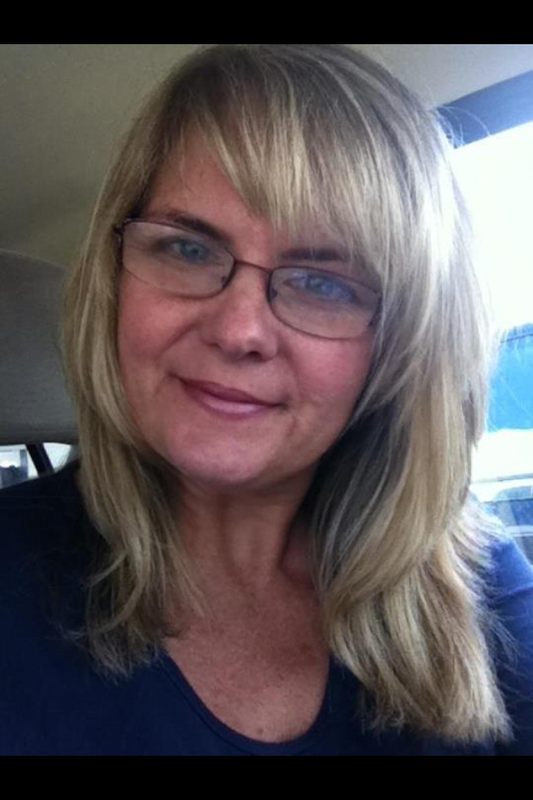 We talked about different options as I was hoping to avoid anesthesia, based solely on the fact that it is extremely expensive, and as cash patients, I was hoping to cut any corners that could be cut. 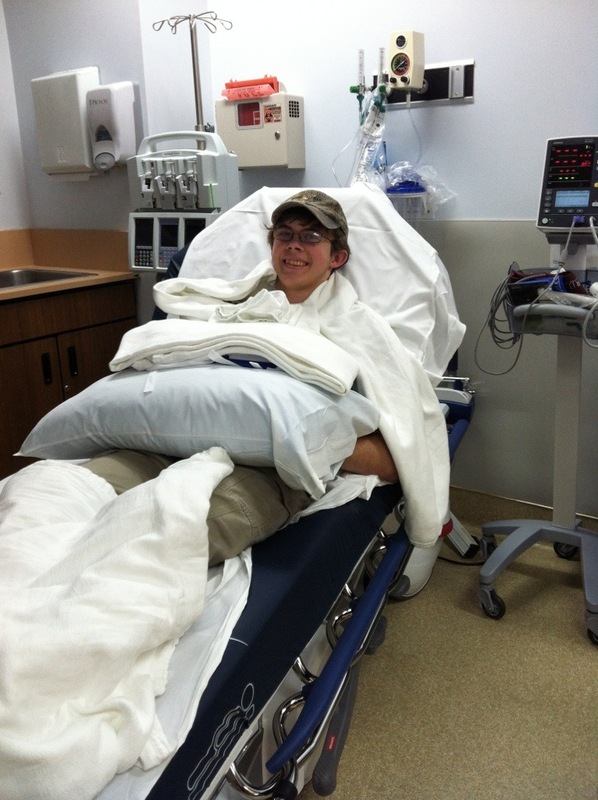 Darien was a trooper and went through all the motions with what seemed like a smile on his face. 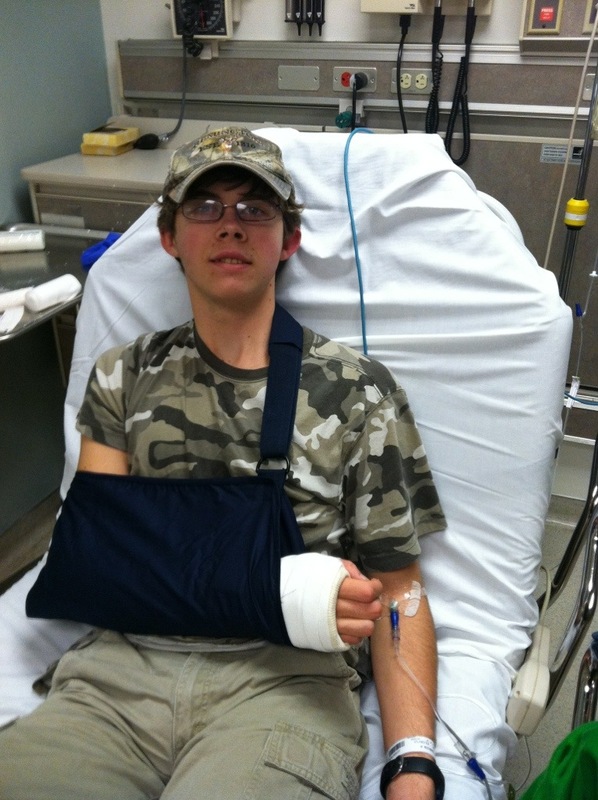 They were able to do some local anesthetic, use traction, and set his arm while he sat there in a mild daze. This photo shows some glazed eyes, I guess the drugs had kicked in a little more by this time! It’s amazing what they can do these days with medical supplies and knowledge. They got him splinted, x-rayed, and soon we were ready to go home. The good news is that, within the scope of broken bones, this was not a serious break. The bad news is that I haven’t begun receiving all the bills yet. I am hopeful we might get through this for less than $5K since he was not put under. But with 2 ER visits in one day, it could be much worse than that. 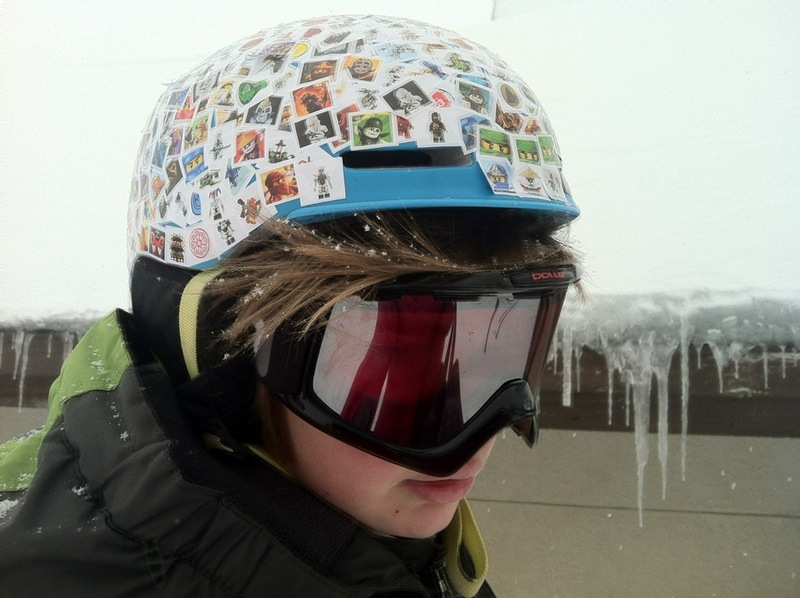 This entry was posted in Bookworm Boy, Country Chatter, Skiing & Snowboarding on February 14, 2013 by gracewithouttears.